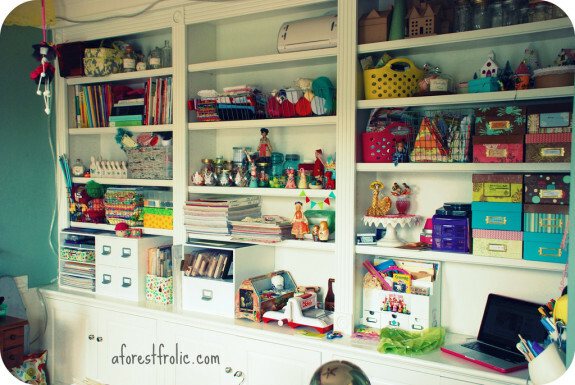 Do you need some help organizing your studio or workspace? At least two of us here at Pyragraph have moved recently and we can say for sure that we’re stuck in an organizational dilemma. Thankfully, Live Simply by Annie has some ideas for us. Any type of shelves or cubbies will do, regardless of whether they’re wall-mounted or freestanding. When it comes to the storage containers though, I would advice selectivity. Whereas in other areas a storage bin of banana leaf, wicker, or canvas can look more appealing, in the art studio I recommend sticking to plastics, metals, and woods. These are types that can be easily wiped up should arty things occur (read: paint spills, glue drips, et. al). Read the entire article at Live Simply by Annie. Got a tip for us? A story or video to share? We’re always on the lookout for entertaining and informative links of interest to creative folks. If you have content to share or know of cool links you think our readers will like, let us know.